Get Ready to Head Home After a Triple…in Revenue! In today’s day and age, B2B business is as high-functioning as the Chicago’s rotation or Cleveland’s bullpen. It is not an assumption, but a reality that digital marketing is crucial when trying to reach out to potential B2B customers. But, for the sales department to do well, they cannot simply just pick up a phone, call the potential customer and expect them to pitch a fastball of money right to you. Sorry, doesn’t quite work that way. It is no hidden business gameplan that getting sales and marketing to hit on all cylinders, you’re business is building its potential to exponentially increase the amount deals you close, thus increasing company revenue. Like, the more Miguel Montraro and Jake Arrietta (catcher and pitcher for the Chicago Cubs) are in-tune with one another on pitch selection, the more likely Chicago is going to increase their chances of winning. By the time 2015 ended, B2B business had eclipsed bringing in $8 trillion and is trending towards $9 trillion within the next few years. In other words, B2B business is knocking it out of the park. If you’re interested in joining the $8 trillion plus squad, it is key to constructing a game plan that works. Having a quality mix of online content, social engagement and in-person conversations are all things that should be slotted into the beginning of your lineup. Once you are able to bring in new prospects with your captivating content and it is key to have an ace of a closer to seal the deal. Here are some tips for the sales department to ensure they are finishing strong and setting the company up to bring home a large increase in revenue. Going into a call or meeting without an agenda is like going into Game 7 without a gameplan. Being prepared is a much more efficient way to handle closing a sale than simply ‘winging it’. It doesn’t get much worse than putting in all the effort to bring in a potential customer for a close and losing track of the meeting, ultimately blowing the equivalent of a ninth-inning lead. In-person meetings with solid agendas don’t go unappreciated. With so many B2B businesses having calendars booked to the max, taking the time to create an easy-to-follow agenda that lets the conversation go smoothly is a big step in the direction of closing the meeting on a positive note. The meeting could see you leaving with a new customer or at least with a new brand advocate. Sharing meeting responsibility by using phrases like, “Would that be alright with you?” or “Does that work for you?” lets the salesperson know how the meeting has gone and if there is buy-in from the potential client. Just like a baseball team, you want your scouts, in this case, salespeople, to be focusing the potential leads that have the most promise. By using a form with carefully-crafted questions that allows for productive, two-way conversation. Ask them about their business model, company values, goals and anything else your company would deem important when looking to increase their client base. Finding the potential customer that has taken the time to fill out the form, create an idea of what they would want out of your company and how you can help is the potential customer that sees a prospective mutual business plan. Every potential client is important, but directing attention to the prospect that shows the most responsiveness, in the beginning, is ultimately the one that has the biggest potential to help your business get the ‘W’. Before getting into that sales meeting, make sure that your customer prospect is ready for the big leagues. It is a rarity for an MLB team to be able to pull a recently-drafted rookie right to the majors without much exposure to the culture and success of the team. Use things like email marketing, case studies and other media to prep your prospects so they feel ready to build a business relationship with you. This tactic lets you put your best results and information in the hands of the client you’re looking to meet with. Instilling confidence and trust by way of things like exceptional content and a healthy portfolio is great starting point for the sales conversations you will ideally have. Your sales starting lineup has the potential for a great batting average when you can brag about your best stuff! Every sales meeting should be treated like it’s the World Series. Every potential customer that has taken the time to meet with you deserves a well-prepared salesperson that is looking to satisfy all of their needs. 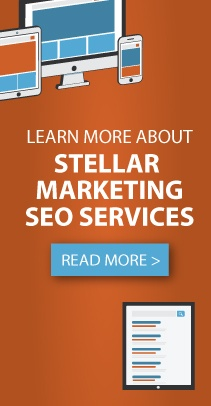 If you’re in search of a new website, premium analytics report or a helping hand with your content, contact Stellar Blue for the perfect gameplan!